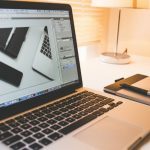 In this post, we have picked up some amazing free fonts for designing posters and promotional banners. This collection includes a wide variety of useful fonts including elegant script fonts, modern thin fonts, hipster fonts, techno fonts, fonts inspired by low poly look, as well as retro and vintage fonts to give your posters the look of bygone era. 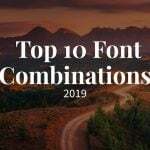 All these fonts are free for personal as well as commercial use and are available as Open Type (OTF) or True Type (TTF) fonts that will work on both Windows and Mac. 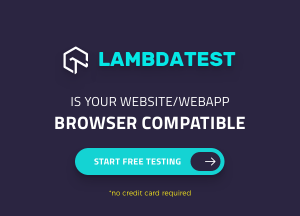 Some of them are available as web fonts also for use in your online work. The fonts below will make your text stand out and reinforce the message & mood you want to convey through your banner and poster design, whether it is a quote poster, a poster depicting a bold message or a fun, cheerful poster. 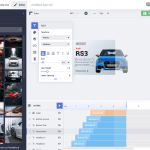 And the best part is that not only do they fit in poster designing, they will also be a good addition to your toolkit for designing product promotional images, magazine covers, logos and branding identity. 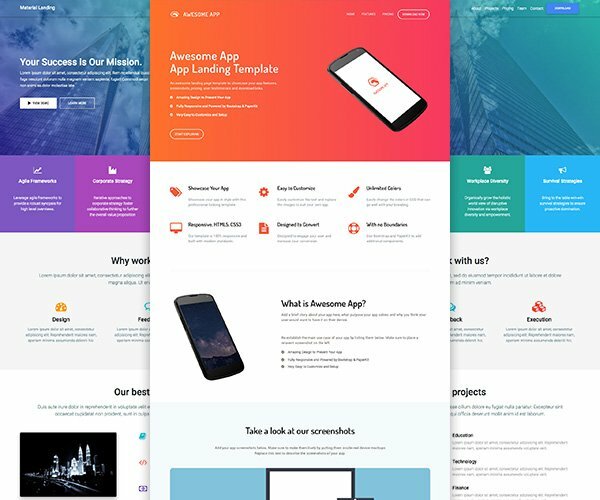 If you are working on poster design, you may also want to check out this collection of poster PSD mockups to showcase your designs in a professional way. A hand drawn brush typeface, Debby features irregular bouncy characters and rough shapes to give your design work a natural hand written look. 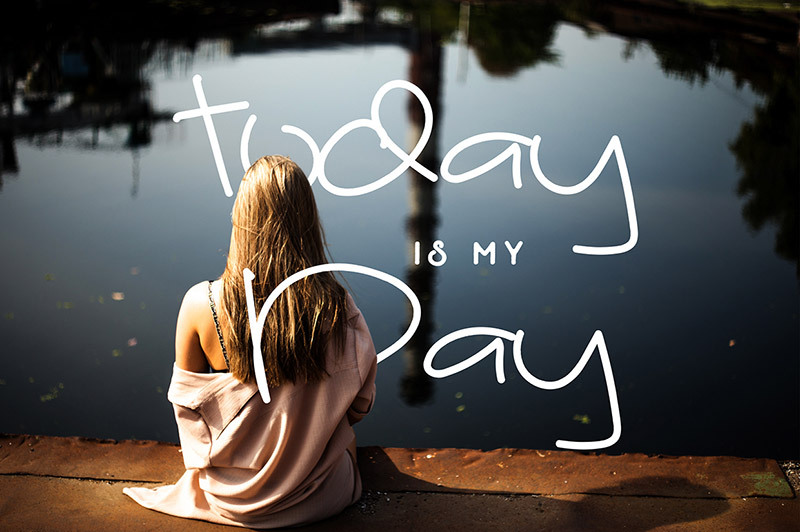 Perfect for designing quote posters, you can download it for free in both .otf and .ttf formats. Font designers: Artimasa Studio & Free Design Resources. 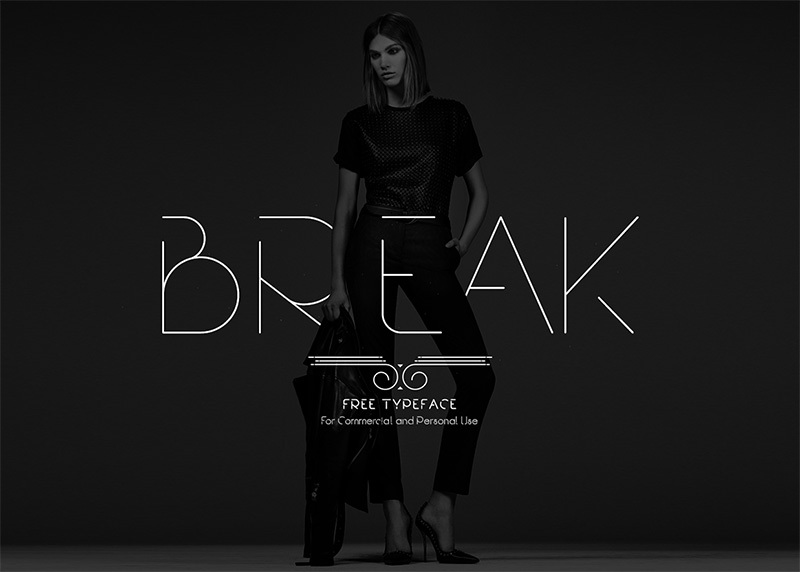 Break is an ultra thin modern font family designed by Rajesh Rajput. It comes in five weights from bold to extra light and includes uppercase, lowercase, numericals and symbols. The font can be downloaded for free in .ttf format. 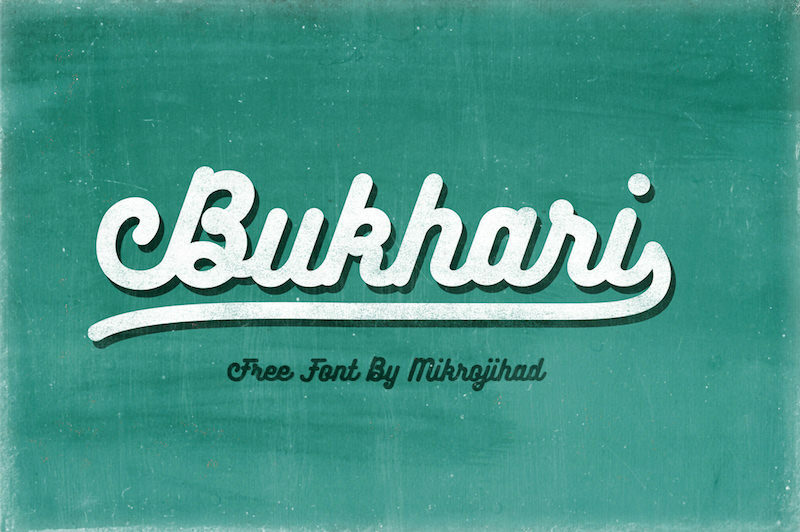 Bukhari is a bold cursive font with connected letters that has a vintage vibe to it. Bukhari font family contains two typefaces – Bukhari Script and Bukhari Script Alternates to give you access to all the alternate characters. Designed by Mikrojihad type foundry, the font is available for free download in OTF format. 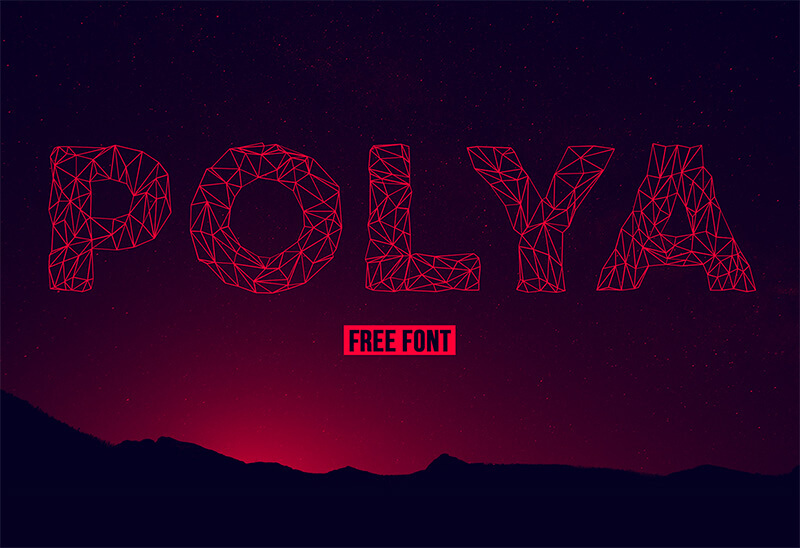 Based on the principle of low-poly, Polya is a free line font that will look great at large font sizes like on posters. An all caps font, it includes accented letters, numbers and common symbols. Designed by Adrian Coquet, the font can be downloaded in .otf format. Artimasa Studio’s Streetwear is a bold and stylish retro font reminiscing the fashion and sport related typefaces of the 1960s and 70s. Available for download in .otf format, it also includes alternate characters that you can access in Adobe Photoshop and Illustrator. 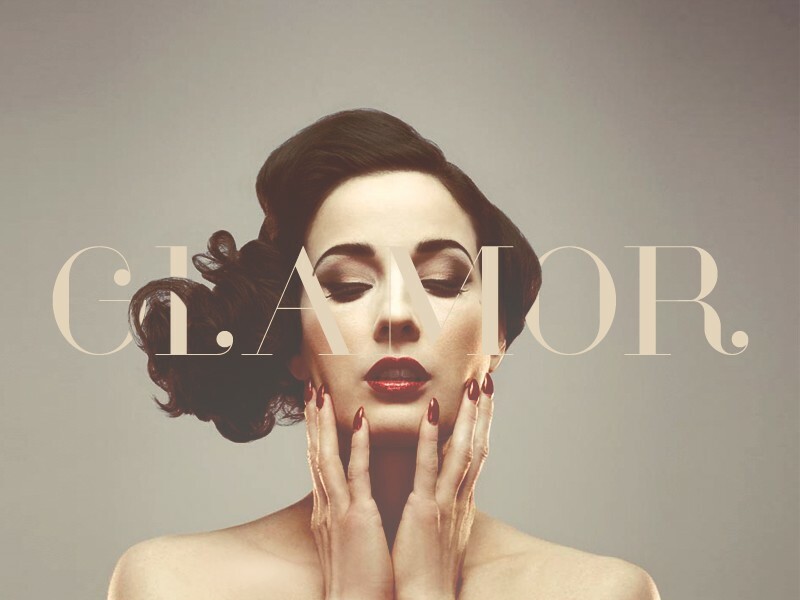 A stunning and stylish font, Glamor is perfect for when you need to design advertisement posters and promotional graphics for fashion events. The font features ball terminals that will lend your work an elegant yet classic feel. Glamor type family is a set of 24 fonts in all the possible weights you’ll ever need, from light to bold and in between. Designed by Henrick Ronaldez, the font is free for personal and commercial work and is available in both TTF and OTF formats. Designed by Adrian Coquet & Hugo Dath, Slot features semicircle pattern that gives it a playful look. It contains latin accented characters and many glyphs for your poster designs, logos and corporate identities. 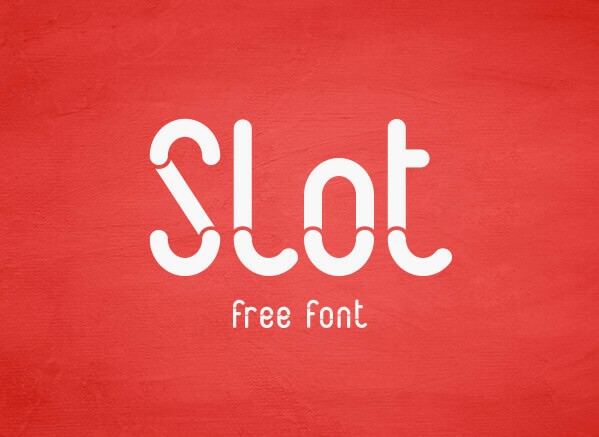 Slot is available for download in .otf format. According to the font designers Mats-Peter Forss and Andreas Twardzik, Hammock embodies the passion for travelling, surfing, nature and everything else made with love. 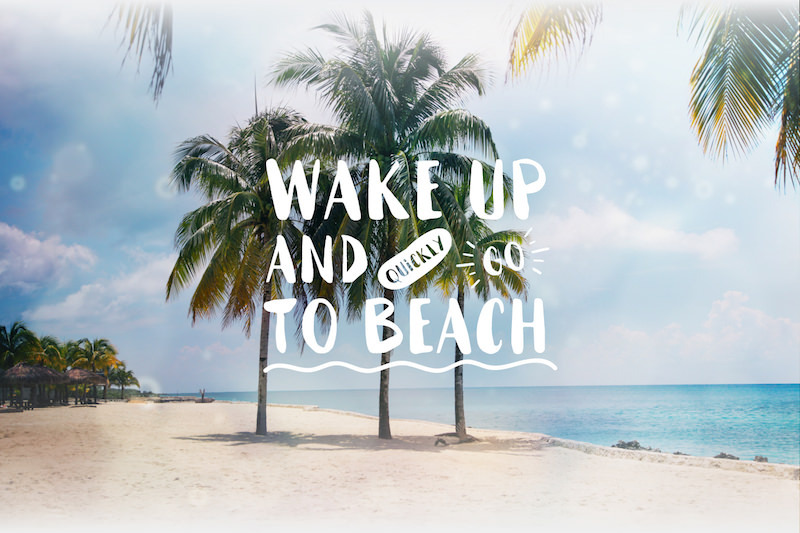 Hammock font has an outdoorsy persona that will lend your travel posters a rustic look. 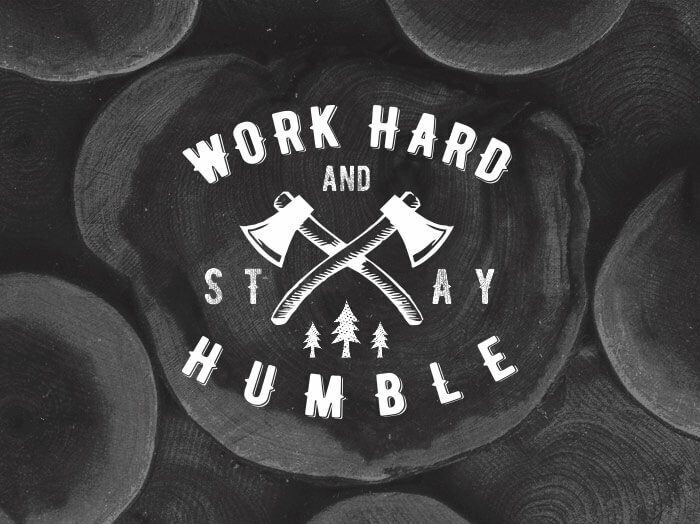 The mix of thick and thin contrast in its letterforms and imperfect edges give it the perfect handmade feel. Hammock is completely free to download and is available in three styles – Regular Black and two distressed styles with different texture levels. It will suit a poster designed for your home as well as for a billboard. Font format is OTF and it offers 2 alternative characters for each letter. A unicase typeface, vintage style font Bernier is perfect for old school style typography work and logotypes. It comes in 3 different styles – Regular, Distressed & Shade. 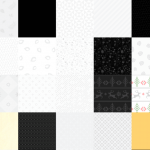 Designed by Ryan Pyae, it can be downloaded in .otf format. I have used its regular and shaded styles in designing this poster – Stay Hungry. Stay Foolish. Sprite Graffiti by Four Plus Studio fuses together the essence of street graffiti with legibility and the end result is a functional font that can be used by a wider set of audience and not just graffiti enthusiasts. 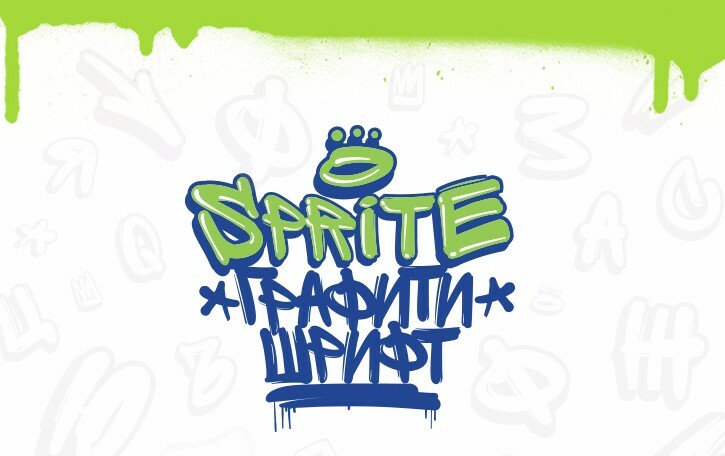 Available in Cyrillic and Latin, Sprite Graffiti font can be downloaded for free in OTF format in regular and outline shadow styles plus some extra characters as well. You may also want to download our free splash and splatters Photoshop brushes that you’ll find useful when creating graffiti inspired posters and artworks. 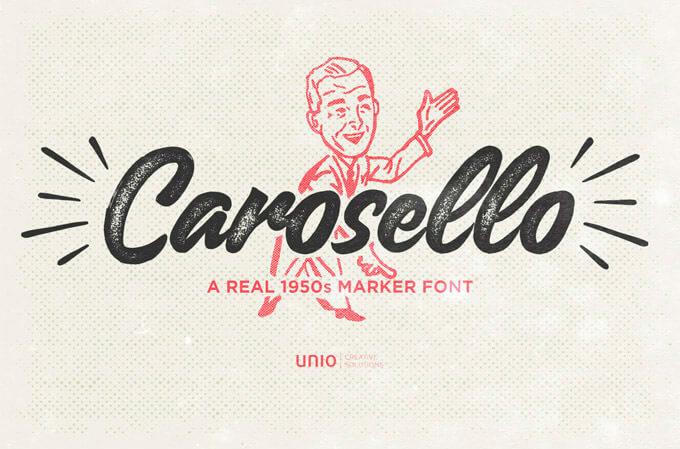 Carosello is a beautiful free font you can use to re-create the 1950s-esque hand lettered quotes, inspirational phrases and vintage designs. Designed by Unio, this handmade script font is available for download in .otf and .ttf formats. 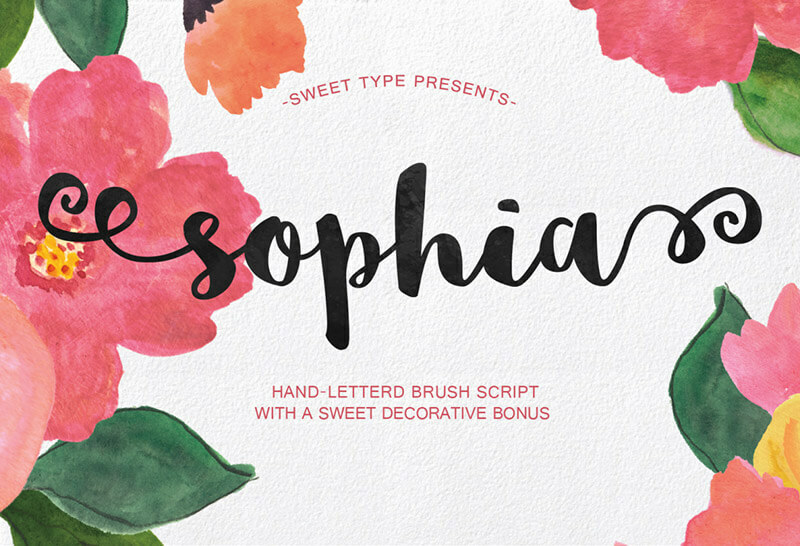 A free brush script font, Sophia comes bundled with Sofia Left and Sofia Right fonts along with the regular font file. These extra font files include characters having ornaments to their left (Sofia Left) and to their right (Sofia Right) for creating decorated word sequences. The font can be downloaded as .ttf, .otf, .eot, .woff and .svg files. 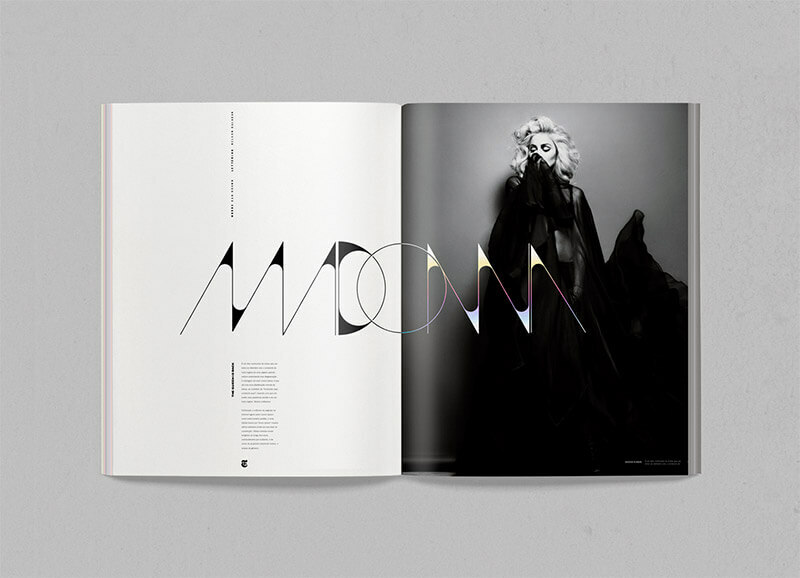 Designers: Emily Spadoni & Mats-Peter Forss. 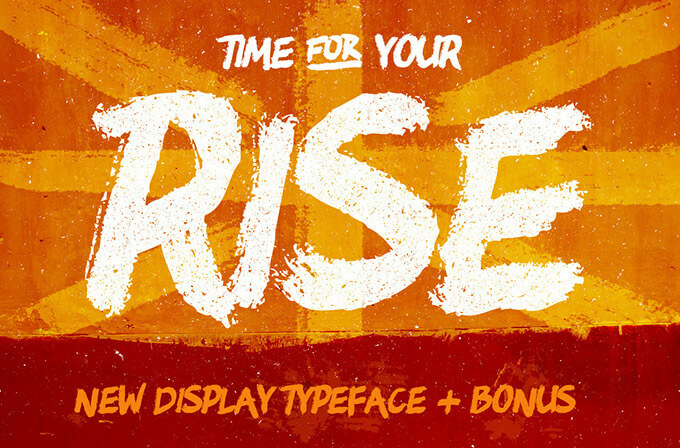 Rise, created by Pavel Korzhenko, is a free brush typeface. It sports jagged edges and is perfect for giving a hand painted look to your artwork. The font is available in .otf format. Designed by Filipe Rolim, High Tide is an all caps, decorative font family suitable for posters, headlines, titles and logos. 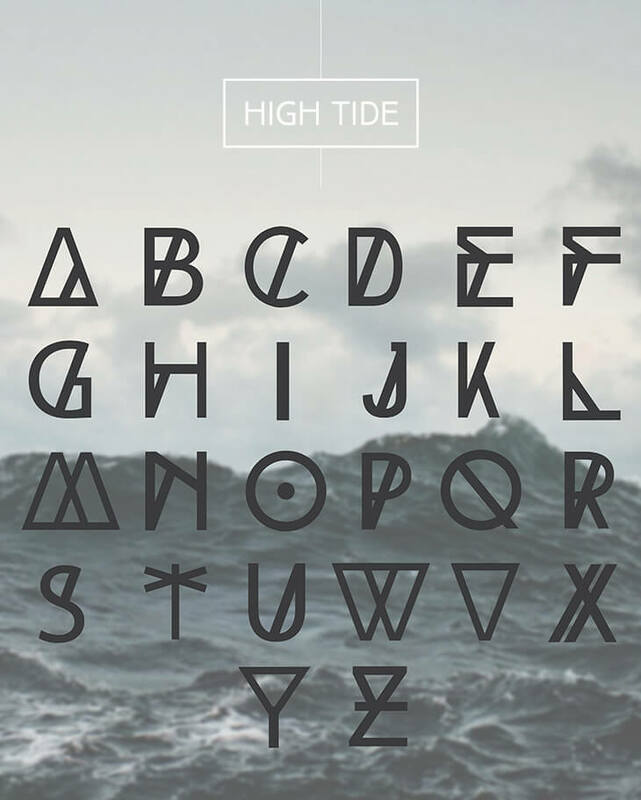 It comes in three different weights – regular (High Tide Sans), bold and the Nordic style font. 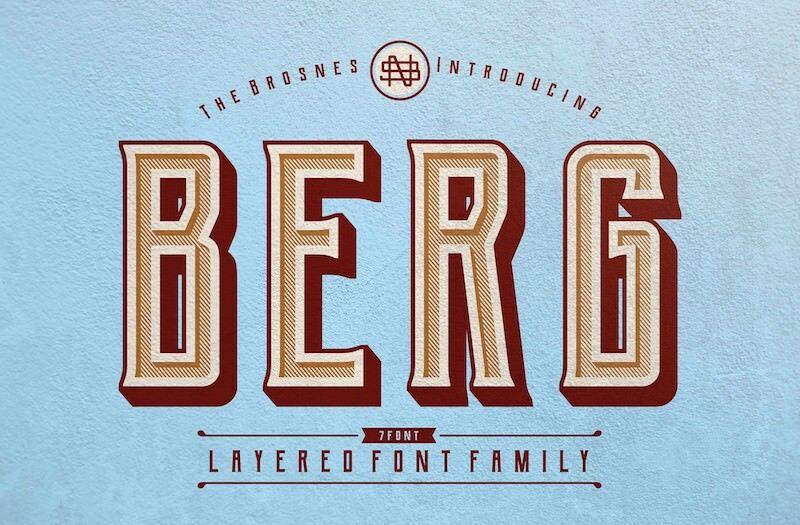 Designed by The Brosnes Design Co., Berg draws its inspiration from vintage sign paintings, posters and labels. Berg is a family of 7 typefaces in different styles – Regular, Extrude, Inline, Shadow, Ornament, Western and Rough that can be layered together to create different kinds of text effects. Font Format: TTF. 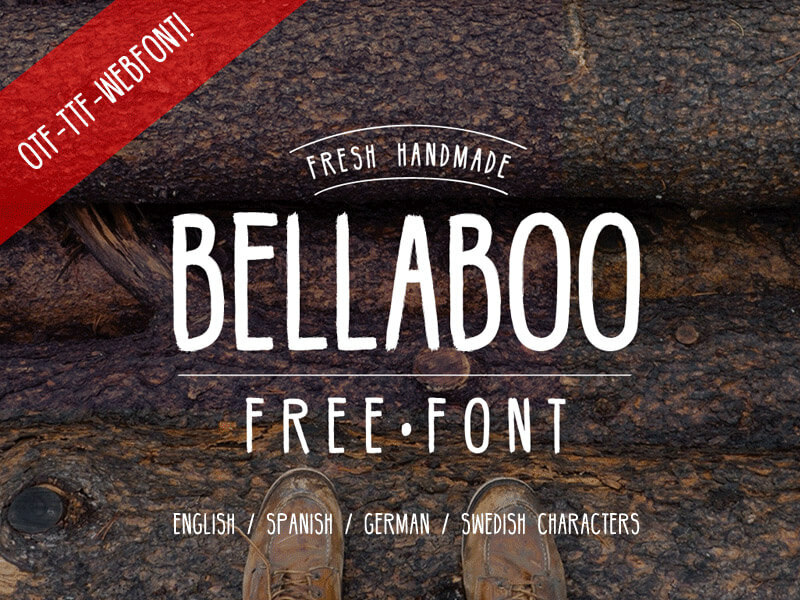 Hipster style free typeface, Bellaboo is an all caps font available in .otf, .ttf and web font formats. 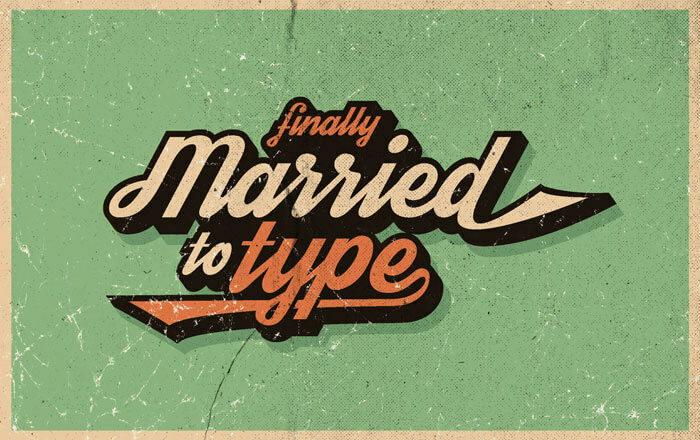 Designed by Marcelo Reis Melo, this font has a bold personality and is great for headlines. 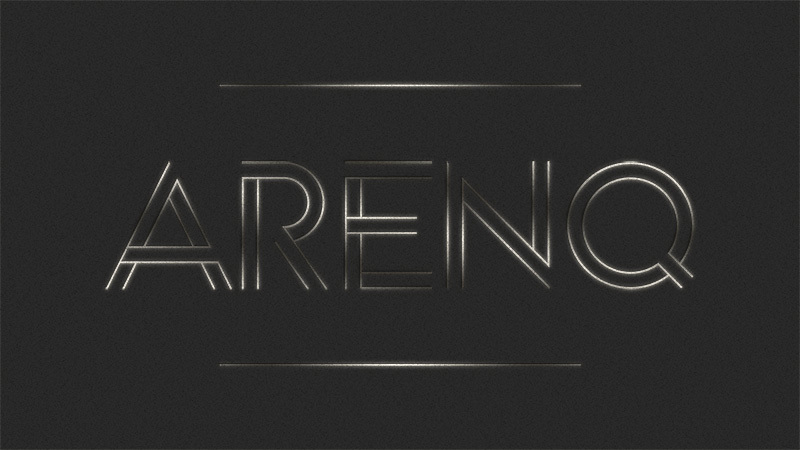 Arenq is a minimalistic outlined font by Paula R. It comes with stylistic alternates and is available in .otf format. 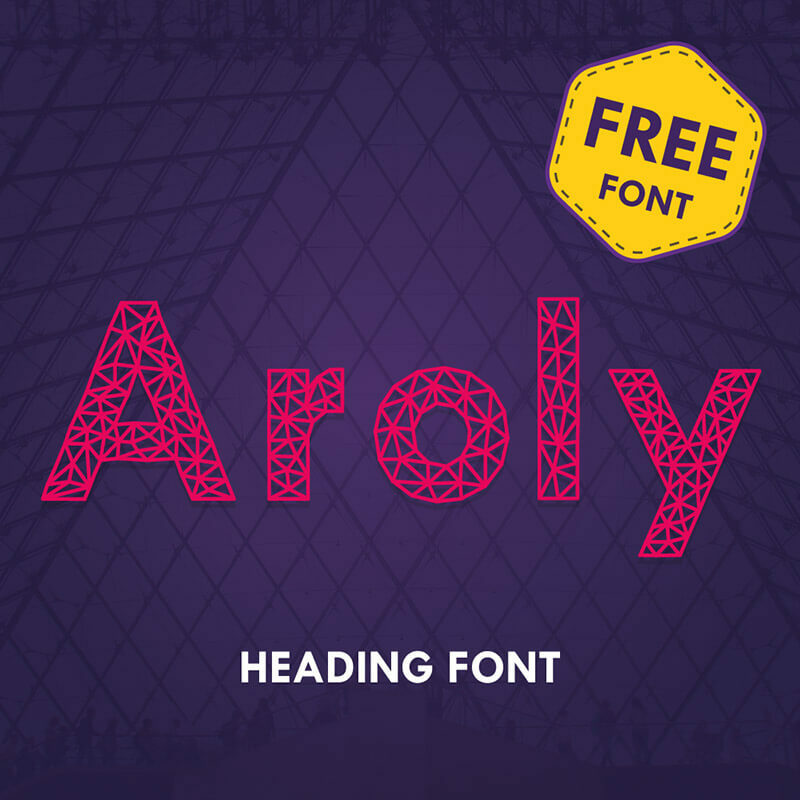 Aroly is a polygonal heading font designed by Arvind Kumar. It can be downloaded as .ttf font file and includes full 26 capital and small letters, numbers, punctuation marks and more. 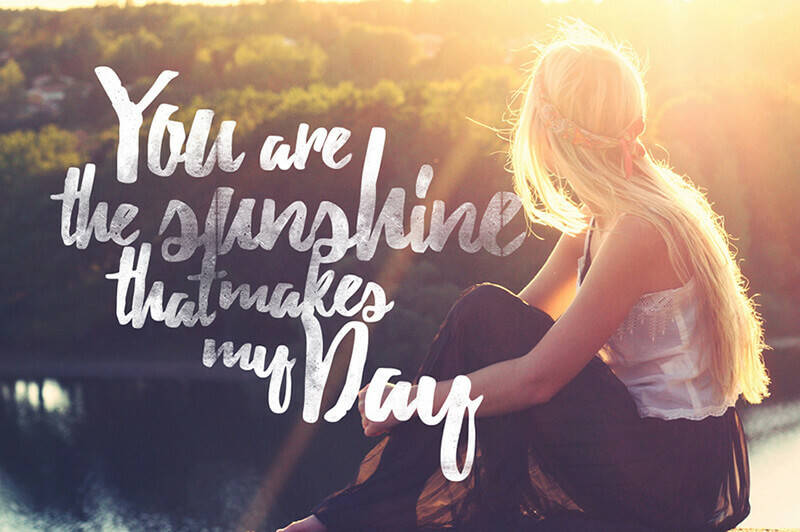 A cheerful typeface designed by Anis Iday, Ruffle Beauty is available in OTF format. 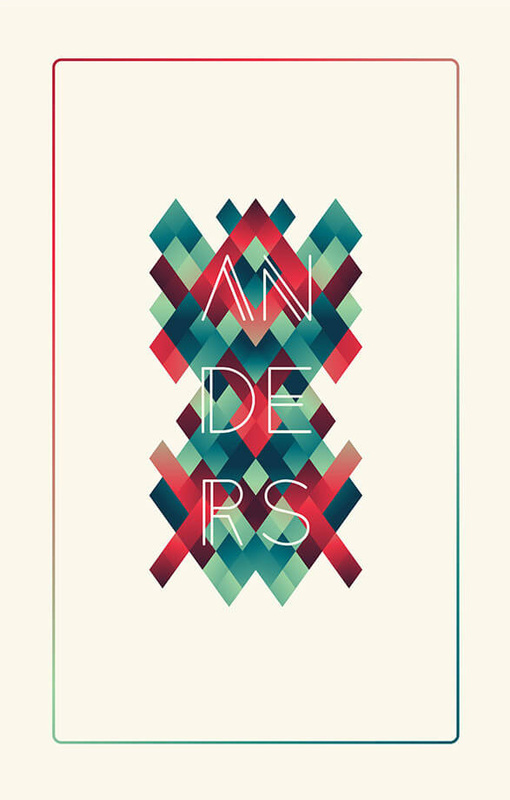 Modern, minimalistic, Anders is a free geometric typeface by Tom Anders Watkins. An all caps font, it is available in .ttf format. 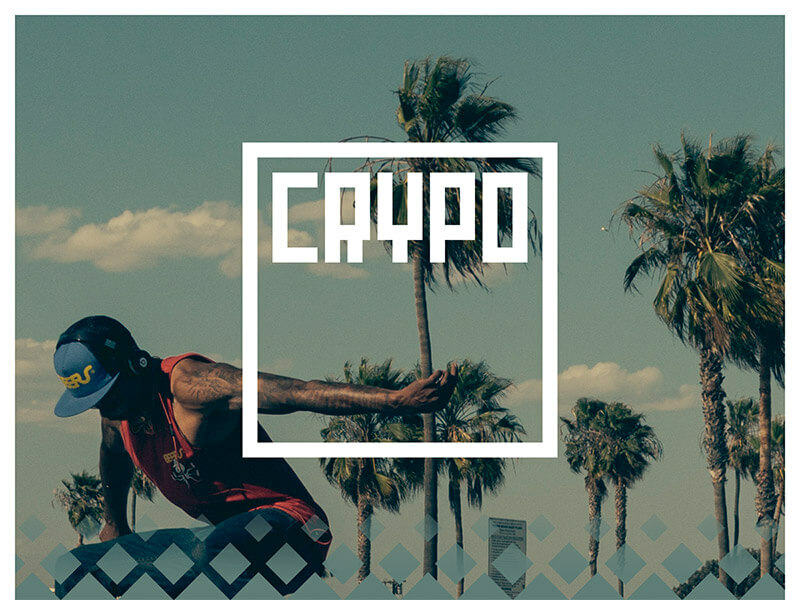 Crypo is a geometric sans serif font to convey a technological, futuristic feeling to your designs. Designed by Cyrille Leroy, the font can be downloaded for free in both .otf and .ttf formats. 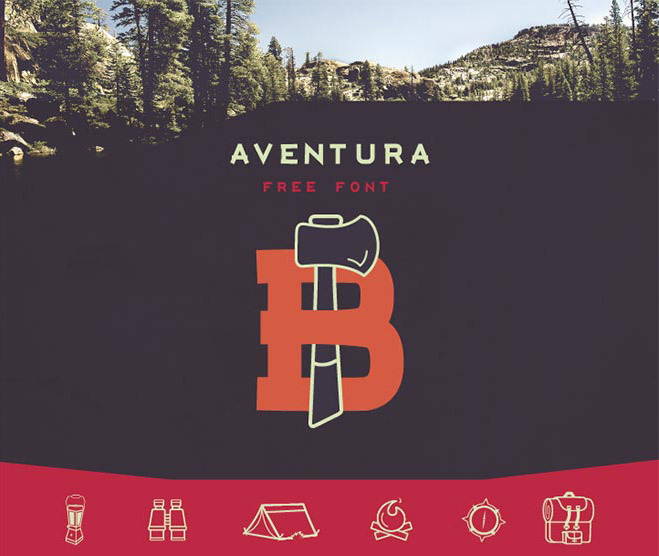 Inspired by nature and camping, Aventura is a bold, adventurous font by designer Jimmy Kalman. The font can be downloaded in .otf format and comes with uppercase letters, numbers and special characters. 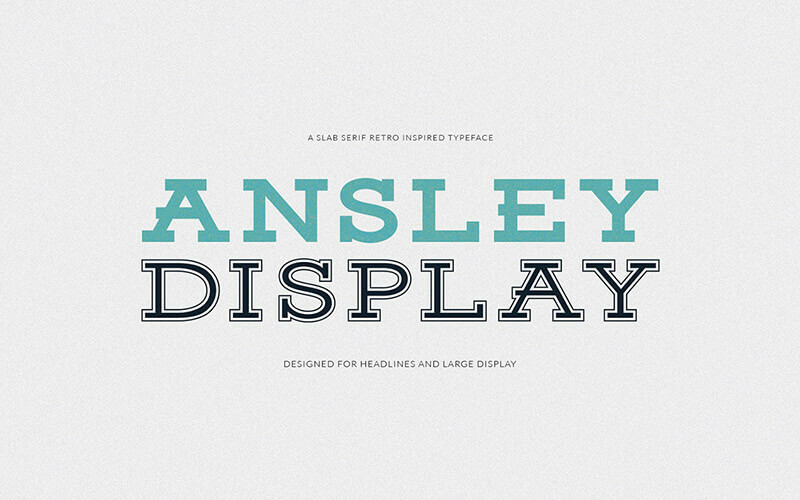 Designed for headlines and large display, Ansley Display is a retro inspired slab serif font. 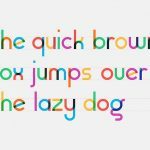 The font comes in 6 different styles – regular, bold, black, inline, outline and light. Made by graphic designer Kady Jesko, it can be downloaded as .ttf font files. Minimal, ultra thin font Accent is designed for small words and short titles. Designed by Nelson Balaban and Soulcraft Brand this font is available in .ttf format. 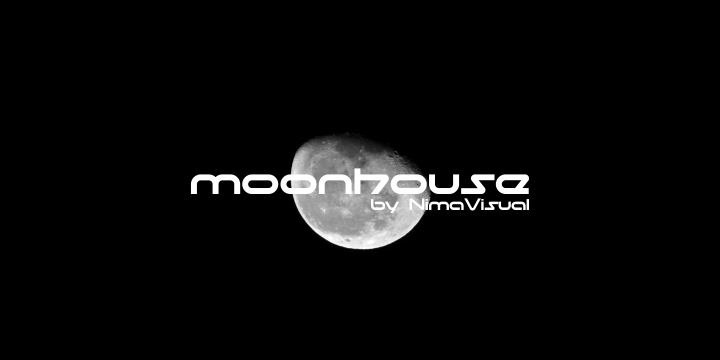 Nima Visual’s Moonhouse is a futuristic, sci-fi font. Characterised by wide rounded characters, this geometric font is great for posters, magazine and logos. Available for download in .ttf format. High quality free fonts are always an asset to have. Do share this post with your fellow designers and spread the goodness of these free fonts and their creators. How did you find this collection of free fonts for poster design? Which ones would you pick for your design work? Voice your thoughts in the comments below. Good collection of fonts. THANKS! Cool Collection! thanks for the share.